Click on the thumbnails to view full the image. 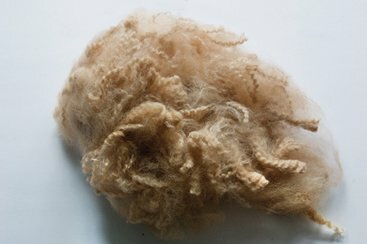 Alpaca fibre is more akin to hair due to its cellular composition and is generally described as one of the ‘noble fibres’. 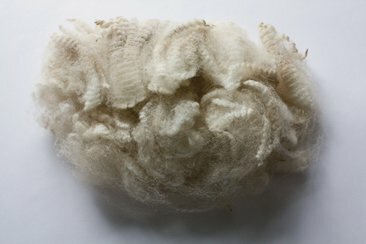 Natural fibres have experienced a resurgence over the last few years as consumers have woken up to slow fashion, the low carbon footprint, wearability and general gorgeousness of alpaca garments. Knitting and crochet are the second most popular crafts in the UK with the younger generation being keen crafters. 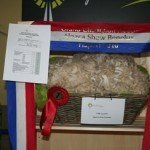 This popularity has meant that scores of woolly shows are staged every year to feed the desire for natural fibres. Alpaca is wonderfully warm and second only to silk strength. The number of scales on individual fibres is considerably reduced compared to sheep’s wool and this helps to explain why wool allergic people do not have the same reaction to Alpaca. Alpacas have few guard hairs or secondary coat and careful selective breeding has ensured that this rarely exists within the prime fleece area. 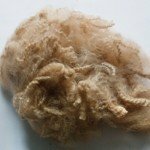 Overall the fibre has a soft and silky feel and exhibits a varying degree of crimp. Its fineness is measured in microns and on average fall within the range 18-30, with 18-20 being considered the finest. Today some alpacas that have been selectively bred will have micron counts as low as 15 or 16 on their first fleeces. This is measured by the histogram which is a scientific measurement of the fineness of the fleece. The Average Fibre Diameter (AFD) shows the diameter in microns, a micron is one thousandth of a millimetre. Standard Deviation (SD) represents an average of deviations from the mean, so the lower the SD the more consistent the fleece. The Coefficient of Variation (CV) is the SD divided by the AFD multiplied by 100 and shown as a percentage. The histogram also shows the percentage of microns over 30 micron. Fibres over 30 micron are the ones that give you a prickle factor in the fleece. The histogram is a snapshot of the quality of the fleece at that particular moment in an alpaca’s life. All of them slowly coarsen as they age. Alpacas must be shorn annually as they will not naturally shed their fibre and on average will clip between 2.0 and 3 kg per year. The fibre commands a good price on the world market where the relatively small worldwide population compared to sheep, helps to maintain consistently higher prices. Alpaca wool is the only natural fibre that comes in such a range of colour. The mills of Peru recognise 22 natural shades from seven basic colours. These range from a true jet black, through the browns and fawns into white. In addition there is a blue or charcoal grey and a rose grey. If desired, it readily takes to dying and can be blended with other fibres offering textile designers endless possibilities. Breeding programmes in the UK are aimed at increasing the number of animals in the national herd and more importantly increasing the fineness and density of the fleece by the use of carefully selected stud males. 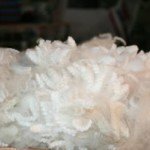 The market for the fibre in Britain is developing although as the number of animals is not big enough at the moment to support a large commercial processing industry similar to that for wool. 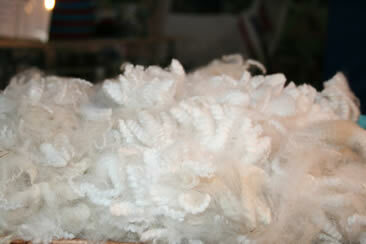 However hand spinners are keen to buy alpaca fleece and are enthusiastic about its fineness and natural colours. 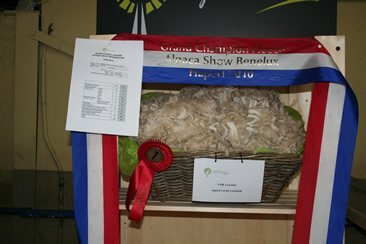 There are a number of small and mini-mills in the country where UK bred fleeces can be processed into yarn and many breeders are taking this route so that they can produce end products made out of their own fleeces for sale to the general public. 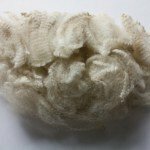 The largest operation in the UK buying huacaya fleece is our own UK Alpaca Ltd. See our page on UK Alpaca, This company buys huacaya and suri alpaca fibre from British growers and manufactures a range of yarns for the wholesale and retail markets. UK Alpaca uses the large worsted processors in and around Bradford and normally manufactures yarn from lots of at least 1,000 kilos of one colour and quality. This enables us to service a thriving wholesale market.